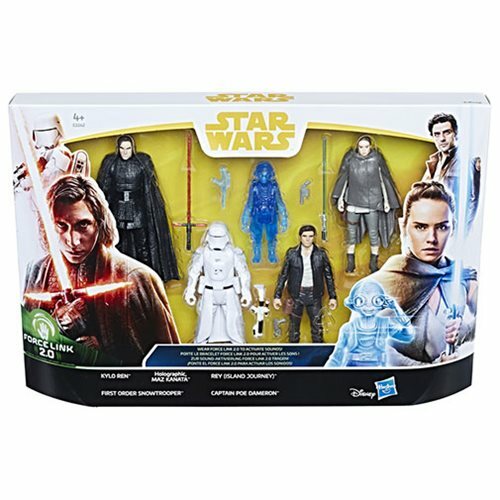 Site sponsor Entertainment Earth is now taking pre-orders for the Force Link 2.0 The Last Jedi 5-Pack box set. The set includes four repacks and an all-new Holographic Maz Kanata. Previously scheduled to be a Toys R Us exclusive, the set is currently only available in the US at EE. © Copyright 2002-2018 JediDefender.com. All Rights Reserved.